Our readers know that we love wedding in castles! 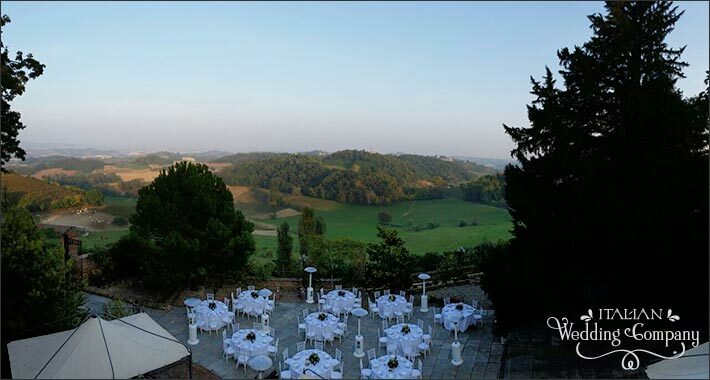 Piemonte countryside offer many venues with that special romantic and medieval atmosphere that only castle can create. 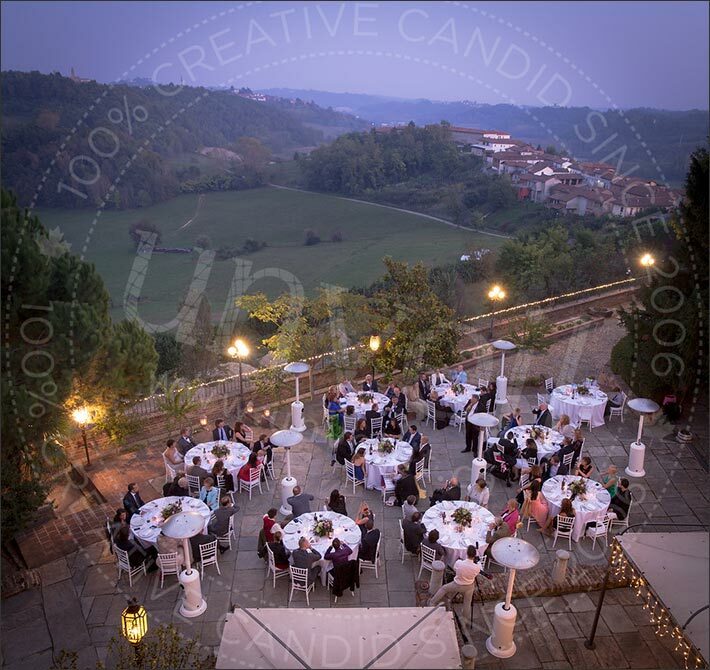 Widad and Andrew chose a magic Castle in Monferrato area for their summer-fall inspirited wedding. 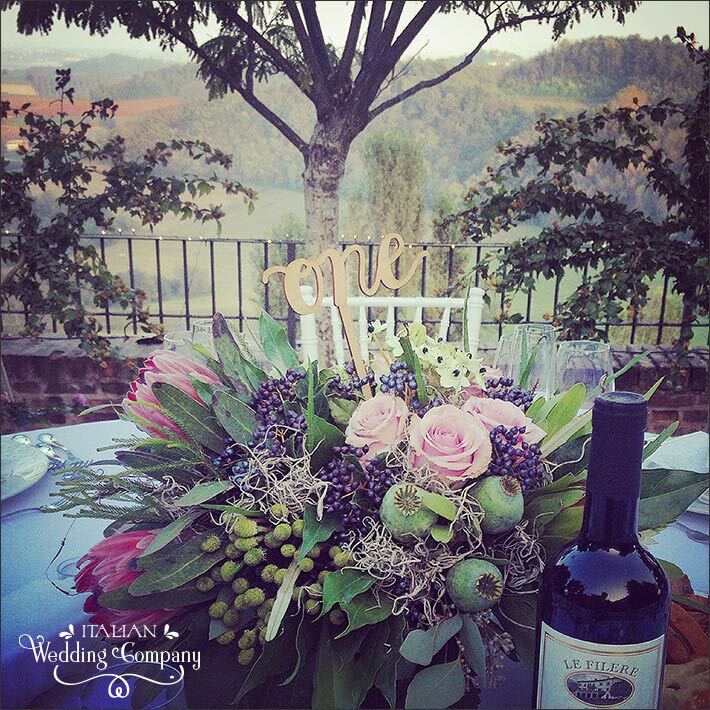 You will see here their wedding trailer video… it will give you a wonderful full idea of the charm of this wonderful day in Piemonte Countryside. A very special thanks to Riccardo Lavezzo! Our readers surely remember Castle in Monferrato we are talking about. it is one of our favorite! Do you remember all these lovely events? 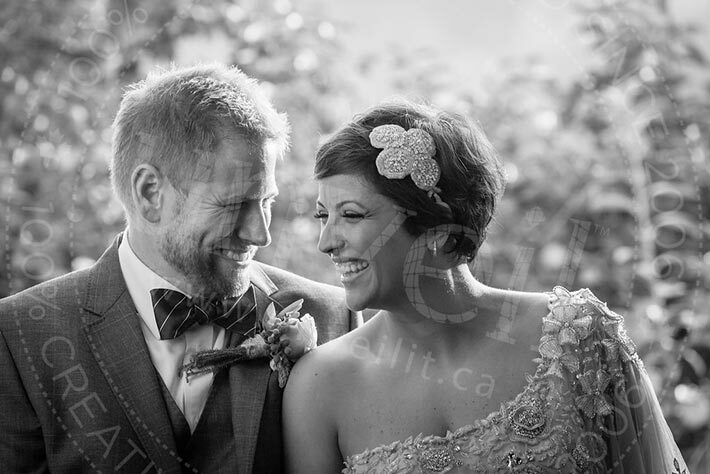 Widad and Andrew decided to revised a little the idea of a wedding in a Castle, planning the event in a very different way. Widad is a lovely girl coming from Lebanon with a joyful smile. Andrew is British with Italian heritage. They both live and work in amazing Dubai. 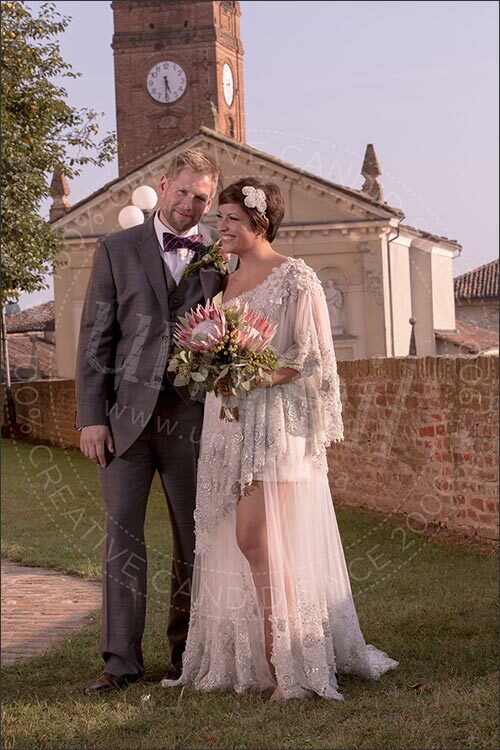 They chose Piemonte for their special day for Andrew roots but also for its charming and authentic atmosphere you can beat here. 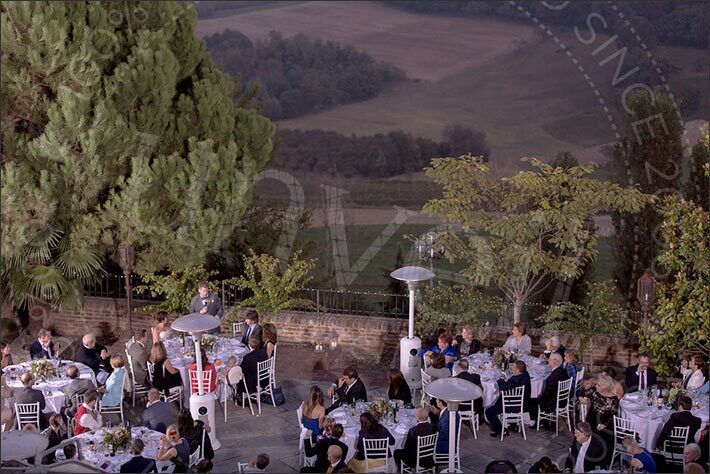 A wonderful party coming from all over the world reached Piemonte at the end of September last year to celebrate Widad and Andrew’s special day! They all stayed at the castle or in hotels close by. 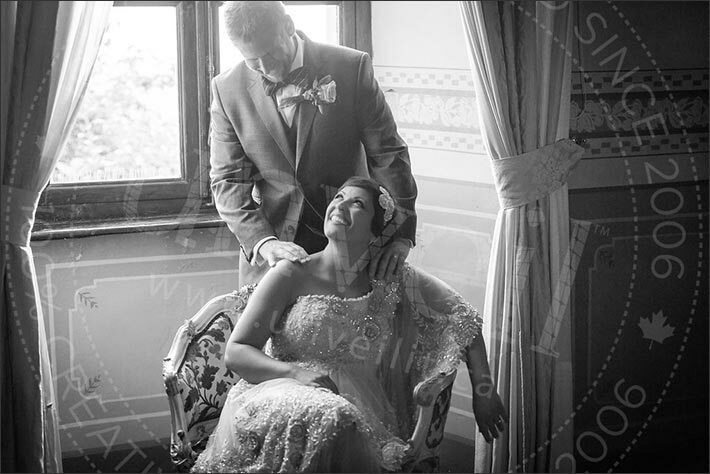 Widad and Andrew got ready in the castle itself that has lovely rooms available for a group of around 30 guests. 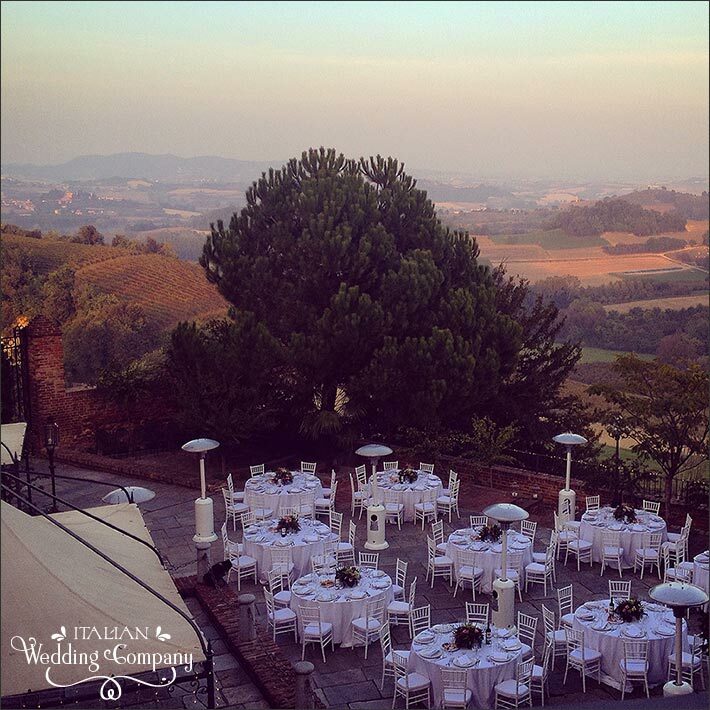 It is a medieval castle located on top of a vines hill overlooking Monferrato countryside and villages. A wonderful natural landscape Widad loved. 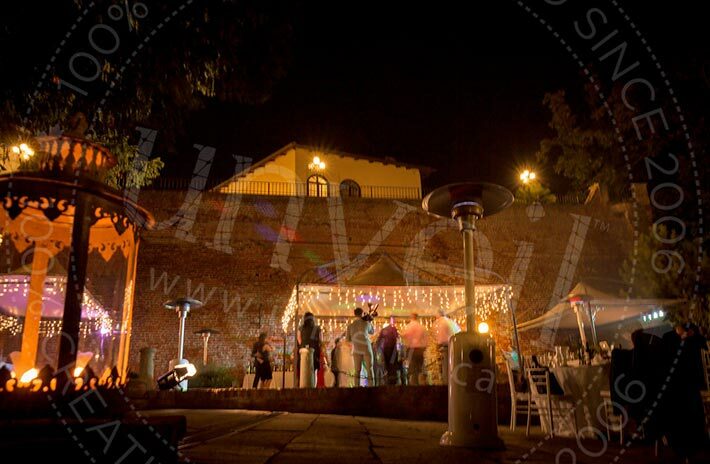 Castle allows legal civil ceremonies in its ground and this is a big plus for an already wonderful venue! 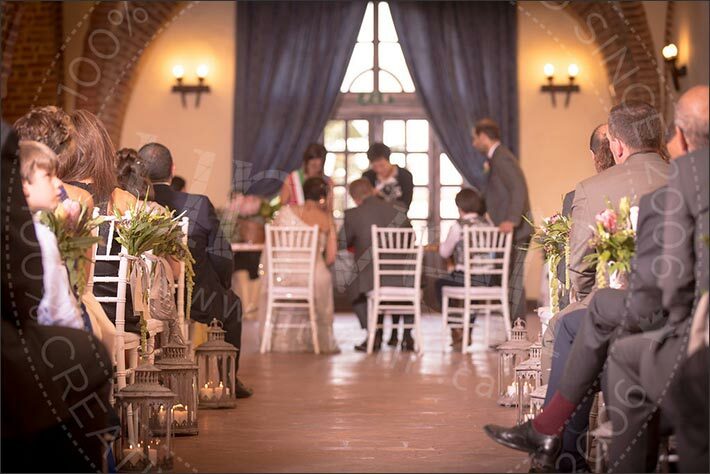 In general civil ceremonies are celebrated inside the frescoed rooms on the first floor or outdoor on the terrace, while seated meal is arranged inside the armoury room. 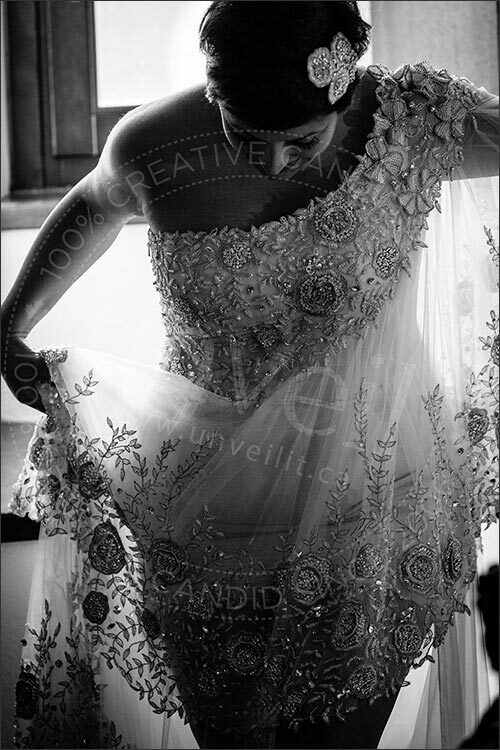 Wide is surely an original bride and she knew what she wanted… she opted for something different! Final result was really evocative! 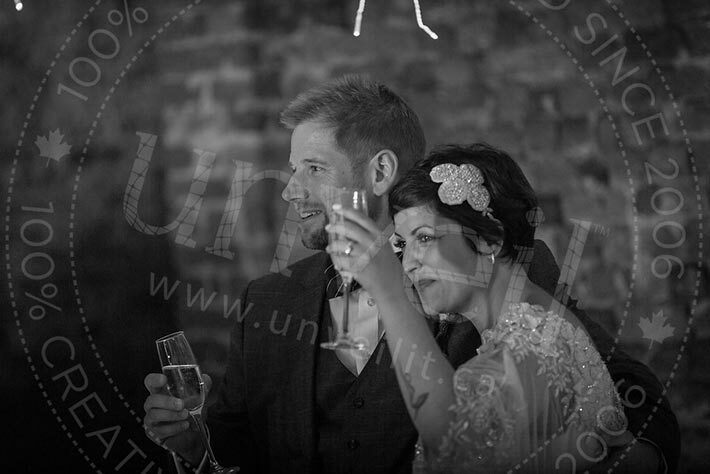 Civil ceremony was planned inside armoury room to create a sore of dreamy fairy tale atmosphere. 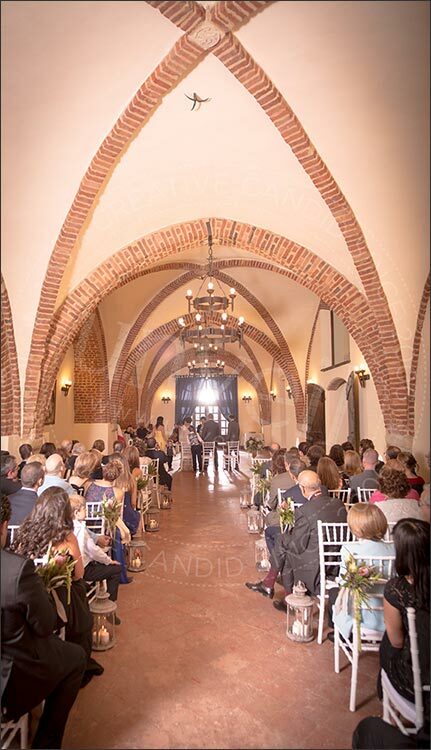 The arches of the armoury room and ancient furniture and chandeliers created a sort of church-style atmosphere that made Widad’s walk down the aisle just dreamy and very moving. 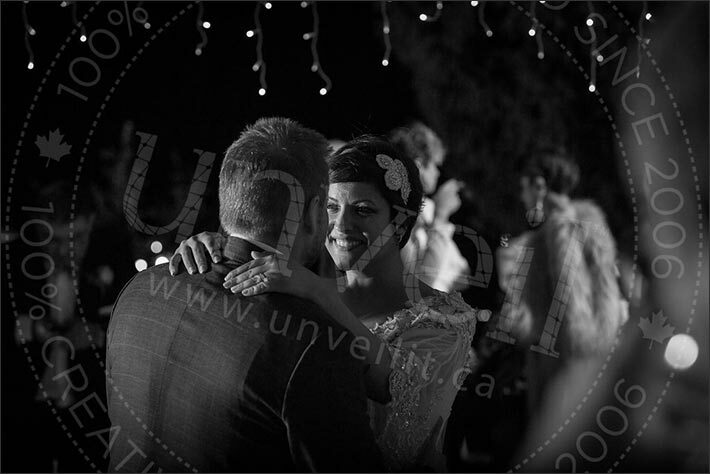 She was simply beautiful in her original dress with and her breezy yet elegant short hair with sparkling tiara. 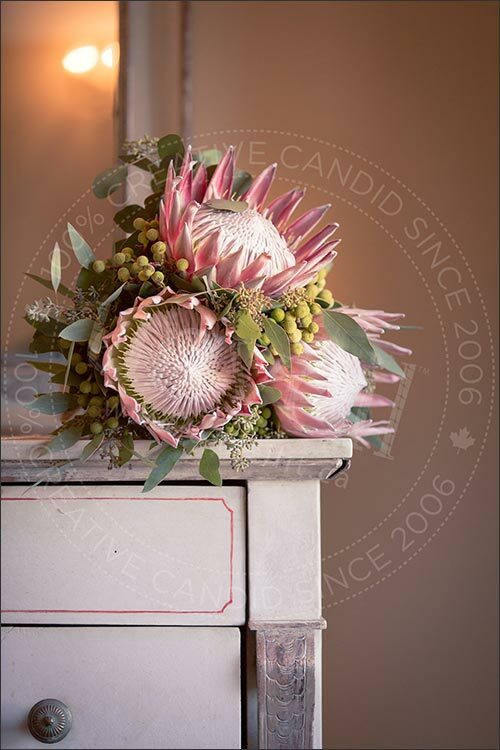 She opted for an original bridal bouquet too made of three big proteas berries and greenery. It perfectly match her fresh style and all other decorations for ceremony and reception. Wide wanted a unique chic country-tropical floral design for her wedding. Andrew wore a very smart grey suit with bow tie. He looked very handsome. After a emotional ceremony performed by the little village mayor the party could begin with a rich aperitif for guest. They could find their seat with a lovely seating plan hang on a wire, sipping some lemonade in country jars and sign Widad and Andrew “guest’s book”: Piemonte post card pre-stamped with an Italian stamp with their address on. 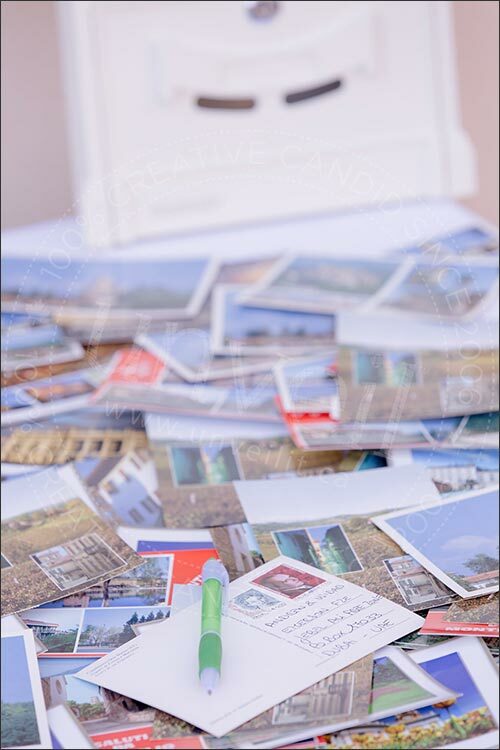 Each guest could literally write a post card and post it in a vintage white mail box. Widad and Andrew received them after the wedding directly at home. So fun! Bride and groom took the chance to have some unique photos with a stunning view over the countryside. We post here the extremest one. 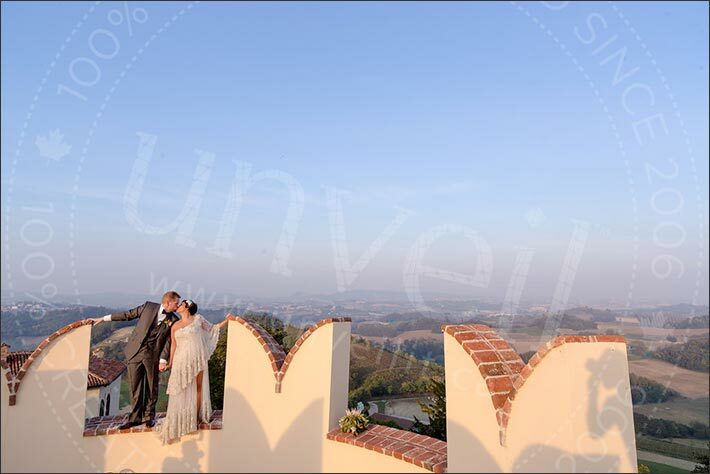 Talented Unveil It Photographer – Widad’s favorite – asked Widad and Andrew to go up to the tallest tower of the medieval castle… the result is the picture below. Isn’t it great? 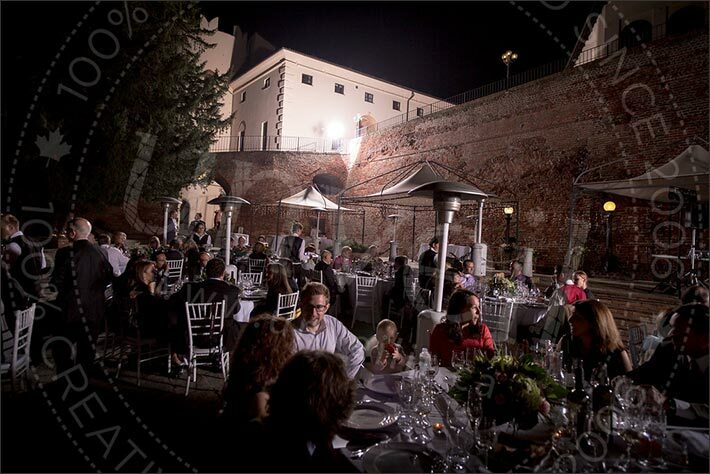 Reception to follow was planned on the main terrace of the castle, totally outdoor. White long table clothes and white chairs made with wonderful centrepieces with proteas, light pink roses, berries and greenery created an elegant atmosphere. And when sun went down… magic begun! 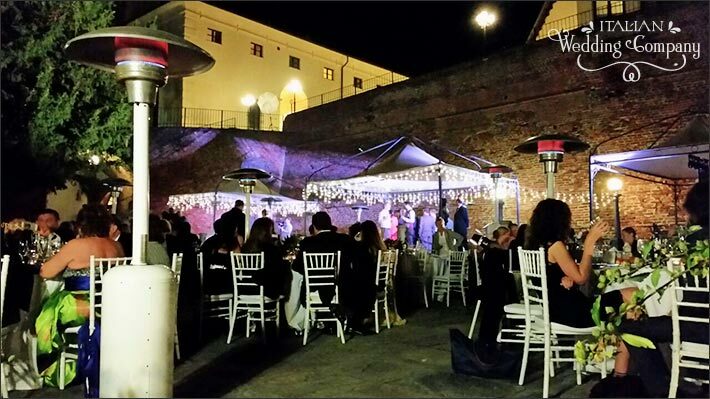 A thousand of fairy lights lit up the terrace, what a view under Piemonte Monferrato sky! 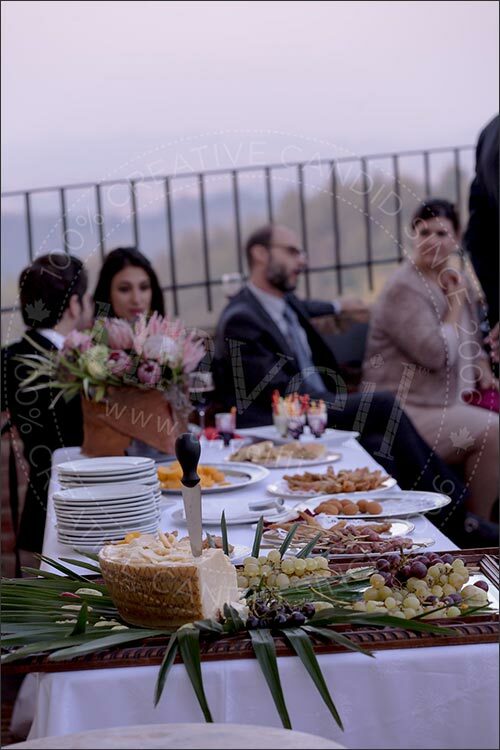 A Italian gourmand dinner was served and in the meanwhile a pastry chef created in front of the guests Widad and Andrew’s wedding cake. 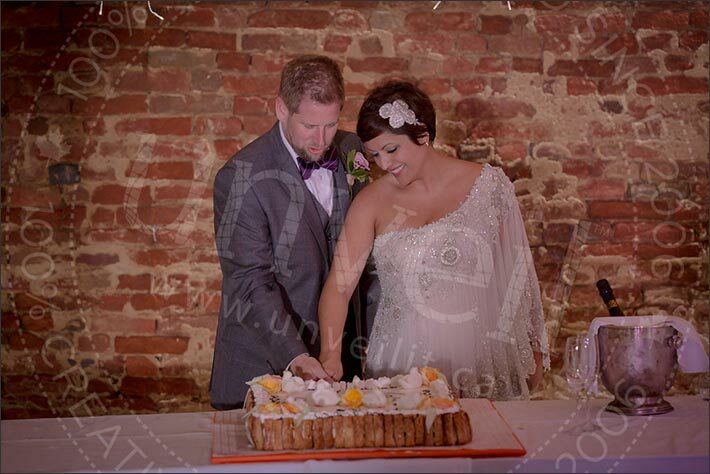 This is a very original idea: A Wedding Cake Show! It could be good entertainment for all guests during the meal. 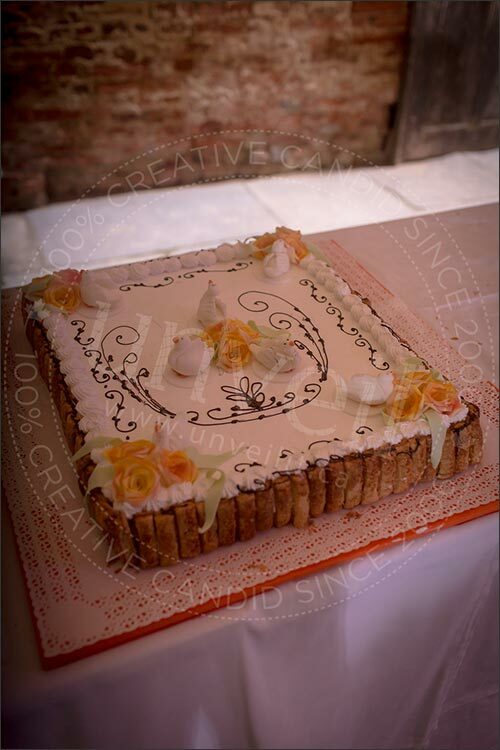 A talented pastry works in front of all guests to create a lovely and most of all delicious Italian wedding cake to cut and taste after your reception. We told you already… Widad is a clever and original girl! After the wedding cake and romantic first dance party could be begin! 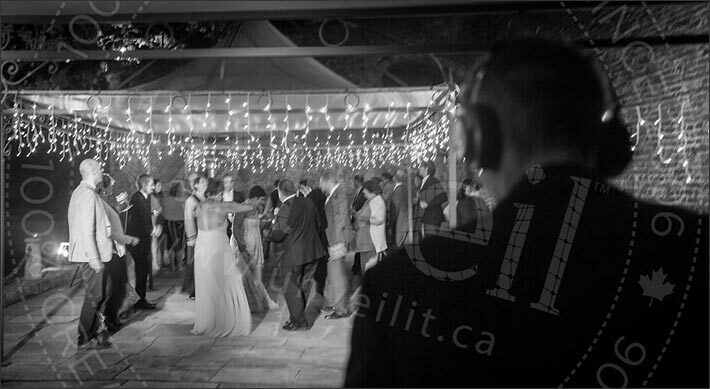 Dj entertained Widad, Andrew and their guests up to late at night! What a night, what a wonderful amazing day! We wish you all the best guys thanks for letting us being part of your special day!